Fancy earning yourself a bit of spare cash? If like most of the population you spend hours in front of your computer screen, you could put that time to good use with some of our unique money-spinning ideas. Read our guide below for out-of-the-ordinary ways to boost your income. Many companies use online surveys and questionnaires to gather data for market research -this is where you come in. They offer cash or entries into prize draws simply for taking their surveys by answering a series of questions. They are usually quick and easy too, which is brilliant if you don’t have a lot of free time. Do you enjoy playing computer games? Turn your entertaining hobby into a profitable venture by putting your gaming skills to good use for a monetary return. There are countless multi-player games as well as casino-based websites which you can use to try your luck at making anything from pennies to pounds. Playing bingo online, for example, is a popular way to play for big jackpots to bag yourself a cash prize. This is a great way to have some fun as well as being a nice little earner. Do you have really long tresses? Would you consider having it cut off to make some dough? Well, if you can bear to be parted with your beautiful locks, you could easily make some money because there are many online companies looking to buy human hair for different uses. Your mane could be used to make wigs or hair extensions. Money to be made from this can be anything from a few quid to thousands of pounds. Many of us aspire to write our own book, so – why not give it a go? It’s no longer essential to find a publisher to publish your work, which is great news. You can now self-publish online which has opened lots of doors for new writers. All you need to do is pick your topic, get writing and then use a website, such as Amazon, to sell your book. This is a perfect opportunity to launch your writing career. Do you have what it takes to teach online? You might surprise yourself! 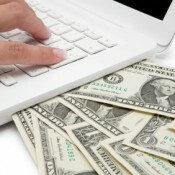 If you fancy increasing your cash-flow, you could tutor over the internet about almost any subject. You don’t need to be a teacher to qualify to do this either. As long as you can offer expertise in a particular field, you can create classes online about a subject of your choosing. There will always be a high demand for education, with e-learning becoming increasingly widespread. All you need to do is pass on your knowledge to others to enable you to bring home some dosh.